Eliminate pests once and for all in your home! There’s nothing to make you jump like a trail of ants running through your pantry or a roach scurrying on the walls. With an endless amount of pests attempting to encroach on your territory, having a completely pest-free home can seem impossible. We’re here to tell you it’s not! With our pest control in Tallahassee, FL, we can clear your home of current infestations and prevent future ones! I have been a customer for over 10 years and have been more than pleased with the professional and reliable service provided by your company and it's representatives. We want to make it easy for you to live comfortably inside your home - even during our treatment. Our teams specialize in eliminating and preventing common pests with non-invasive solutions that minimize chemical use. We’ve been refining our pest eradication and prevention techniques since 1971. When your home is in our hands, no pest stands a chance. Our comprehensive pest control services in Tallahassee will give you the peace of mind you need to know your home and family is protected. Continuous check-ins with you to make sure your needs are being met. Easy, flexible scheduling for your convenience. Free retreatments if you aren't entirely satisfied. The best part? You don’t even need to be present for our exterior pest control treatments! You can trust our Tallahassee exterminators to do the job right - applying our proven formulas to reinforce the outside of your home against pest invaders! Here at Paul's Termite & Pest, we offer great coupons on our Tallahassee pest control. Both new and existing customers can find great ways to save. Check out our Tallahassee pest control coupons to find what works for you! Our Tallahassee exterminators place these stations into the soil in high-risk locations in your home. This system causes termites to take deadly bait back to share with their colonies, using the termites' nature against them. Our Tallahassee termite treatments are designed to minimize the use of chemicals and unnecessarily harsh treatments around your home, so your family can stay protected! Our exterminators in Tallahassee keep you in the loop every step of the way! You'll know about any threats to your home as soon as we do. Once homeowners have experienced an infestation, it’s normal to want long-term protection to avoid future risks. The Sentricon Colony Elimination System uses a scientifically proven strategy to continually protect your home from an infestation of termites. No invasive treatment or time-consuming monthly visits are involved – just regular inspections from our dedicated Tallahassee termite exterminators to guarantee your custom-installed solution is working just as it should be! As the capital of Florida, Tallahassee provides residents access to many unique arts and cultural experiences. Unfortunately, the city also attracts a ton of biting mosquitoes-especially during the breeding months. Paul's Termite and Pest Control has over 40 years of experience protecting area homes from these annoying pests. Our Tallahassee mosquito treatments effectively target mosquito larvae before your yard develops a bigger problem – and gets rid of adult mosquitoes too! At Paul's Termite and Pest Control, we know you want your family to enjoy your yard this summer – without worrying about mosquitoes. You can count on us to get rid of them quickly. We train our mosquito exterminators in the most advanced mosquito control methods in Tallahassee. Best of all, our team of Tallahassee exterminators keep your yard mosquito free all year with targeted monthly treatments March through October – when your yard needs it most. Your family will thank you this summer and fall! While many corporate companies that handle pest control use a basic formula to for bed bug treatment, but here at Paul’s we know that each job is different. After a thorough inspection of your home, our Tallahassee bed bug control experts will devise a custom treatment plan tailored to your personal needs to permanently solve your home’s problem. A proven track record: In our decades of experience we’ve seen it all. Our Tallahassee bed bug experts know what works best, and only employ top-notch techniques and products in our services. Our website is decorated with testimonials from our satisfied customers, so you can see for yourself what kind of service you will receive with our company. Prompt Service: When you schedule an appointment with us, we will send one of our Tallahassee bed bug exterminators there on time and when you need us most. Our schedule is flexible and can fit the needs of any client. Convenience: Not only do we have the best customer service in the industry, but we know how important it is to not inconvenience the lives of our customers. We visit your Tallahassee home three times to apply our treatments, and you’ll only have to vacate the house for a few hours while our competitors make you leave for over 24 hours.  Reliable Products: We only use products in our services that we trust. We know that if we can’t rely on the products we use to solve your problems, you can’t rely on us. Our chemical treatments are second-to-none, and we’ve built our business by providing complete customer satisfaction. As a locally-owned and operated business, Paul’s cares about the health and well-being of the local community. Every last one of our Tallahasee pest control experts are passionate about helping our neighbors live comfortably in pest-free homes. We know that dealing with rodent problems on your own is stressful. Our team of friendly, knowledgeable exterminators is dedicated to providing our customers not only with the desired results but also with the best possible customer experience. Sometimes, with the abundance of pests and wildlife in Tallahassee, Paul’s ProShield pest control package doesn’t cover all your needs. That is why Paul's Termite and Pest Control offers additional services that include animal control, rodent control, and fire ant control in Tallahassee. If you need elimination and lasting protection from pests of all kinds, we have a solution just for you. Are Fire Ants Threatening Your Safety? If you’re struggling with fire ant mounds in your lawn, we can help! Fire ants won’t hesitate to attack anything that accidentally gets close to their mound. Protect your children, pets, and loved ones with fire ant protection from Paul’s. Our fire ant control in Tallahassee is backed by a one-year guarantee, and if by chance they return, we will treat the area at no additional cost. Don’t let snakes, squirrels, bats, or other nuisance wildlife invade your family’s home. These animals can be dangerous and require professionally-trained experts to safely remove them from your property. With more than 40 years experience providing services to homeowners, Paul’s exterminators are experts in this process. Once your property is in the clear, we’ll help you keep wild animals from returning with our animal control in Tallahassee! We strive to make our passion for providing top-notch care evident. It’s why we hand-select our exterminators in Tallahassee and continually educate them through ongoing education. We also understand that allowing someone into your home around your family and pets takes trust, and we take that trust very seriously. With our combined 40+ years of experience and personalized demeanor, you will see the difference – we guarantee it! Keep your home and family protected year-round! let us help. Fill out a free quote form today!